Actor Arjun Kapoor Pens Out His Emotional Note For Actress Janhvi Kapoor Ahead Of The Movie Dhadak Trailer Launch: Bollywood actor Arjun Kapoor has sharing an emotional note and words of the encouragement for his sister Janhvi Kapoor, the trailer of whose debut film Dhadak is releasing on Monday. Tomorrow you will be a part of the audience forever Janhvi Kapoor because your trailer comes out. Firstly, sorry I am not there in Mumbai but I am by your side, don’t worry, Arjun tweeted late on Sunday. I just want to tell you that this profession is good if you work hard, be honest, learn to take the appreciations with the brickbats, respect the opinions, follow your own path & instinct. It is not going to easy but I know you are ready for all the madness that will go,” he added. 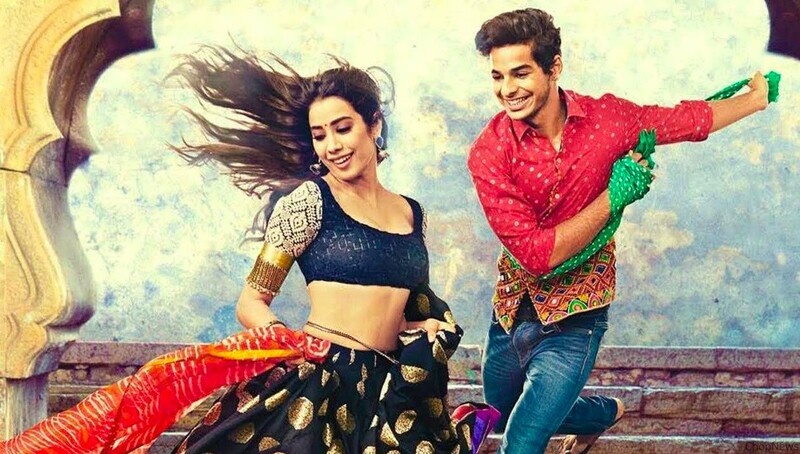 The actor wished best of luck to his baby sister Jahnvi and newcomer actor Ishaan Khatter, tagging them as the modern Romeo and Juliet, “All the best for the movie Dhadak! I am happy that my friends Shashank Khaitan and Karan Johar have intoduce you and Ishaan Khatter as the modern Romeo and Juliet. Arjun has been supportive both sisters Janhvi and her sister Khushi, because both of them are daughters of his father Boney Kapoor with late actress Sridevi. Since the veteran actor died earlier this year in Dubai. Arjun assured that he was by their side when the news of actress Sridevi’s demise not just shook the family, but also effects of her fans across the world. In an interview that features in the Vogue’s June’s issue recently, actress Janhvi in the conversation with producer Karan Johar had spoken about how her mother was quite happy about her first debut film in the industry. She was very technical about it. The first thing she told me was the things I needs to improve, she felt the mascara that was smudged and it really bothered her mother. The second half has to different, she told me. You cannot wear anything on your face. That is all she told me, but she was happy, Janhvi recalled. The movie Dhadak’s producer is Karan Johar and director is Shashank Khaitan. The film is a remake of Marathi film is called Sairat. The film is set to hit the screens on July 20th. So, these are the points to describe on the Actor Arjun Kapoor pens out his emotional note for actress Janhvi Kapoor ahead of the movie Dhadak trailer launch. Give your comments on the above mentioned Article.